With iChargeAndSync technology you can finally simultaneously charge and sync your iPad 1, 2, 3, and many other high-power draw USB devices, using your Windows*1 or Ubuntu (Linux) computer. Typically, PC users can only charge their iPad when it is in sleep mode, or with use of special pulsing software. However, both these options are vastly slower than charging from a wall socket. Also, the pulsing software option may allow syncing, but tends to make iTunes unstable. The problem stems from the fact that the iPad requires 2000mA (2 Amps) of power and a PC USB port can only supply 500mA (0.5 Amps) of power. This power mismatch causes problems for continuous operation setups such as can be found in the mobile device management community. iChargeAndSync solves this problem by externalizing the power draw of the iPad. The iPad’s power comes from a high power wall charger, allowing it to charge the iPad at full speed while allowing for stable syncing with iTunes. Additionally, by externalizing the iPad’s power draw, you no longer put extra power component wear on your computer from long-term charging. This technology allows for permanent installations of iPads and Droid tablets. This ability is of great use to mobile device testing centers. Without the constant cycling of the battery, continuous operation installations can enjoy a greatly reduced battery expansion risk. iChargeAndSync can be used to externally power almost any high draw USB device, such as external HDDs, high power wireless adapters, etc. The iChargeAndSync is Compatible With Windows 8, 7, Vista, XP, Ubuntu and most Linux platforms. A Quality Dock Cable Must Be Used. Our Complete Kit option includes a very high quality shielded Griffin dock cable. Mac’s Are No Longer Supported Due To Apple Incompatibility Issues. Minor user programming is required to enable use of Ubuntu (Linux) software. iChargeAndSync technology is now USB 3.0 compatible. The length of the line between the USB port and the computer is approximately 3ft. The length of the line between the USB port and the power adapter is approximately 1ft. NOTE: If your high amp draw device will accept charge from a standard PC USB port, then that device will most likely fail to draw the full power charge from attached wall charger. 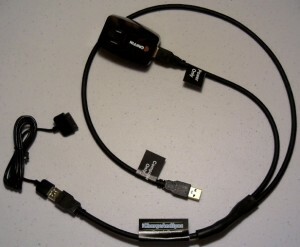 iChargeAndSync is designed more for devices that will not accept any charge from a PC USB port. All iChargeAndSync units are manufactured in the U.S.A. using the very highest quality components and testing standards. We pride ourselves on individual quality testing of every iChargeAndSync unit sold. Our testing ensures that each unit is physically and electrically sound before shipment. *1 Windows is a registered trademark of Microsoft Corporation in the U.S. and other countries. *2 iPad is a trademark of Apple Inc., registered in the U.S. and other countries. *3 iTunes is a trademark of Apple Inc., registered in the U.S. and other countries. All of our products must be purchased using PayPal. A PayPal account is not required. By Clicking Buy Now You Agree That You Accept Our Terms and Conditions. Please Note: The exact specifications including length and color of iChargeAndSync units may vary from the depicted. The Following Purchase Options Are For U.S. Customers Only. International and Special Purchasing Options Can Be Found Here. U.S. orders will typically receive their iChargeAndSync in 5 to 7 business days (Unless Special Shipping is Ordered). 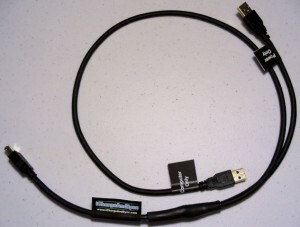 1) A Black iChargeAndSync 4.0 USB 3.0 Device Cable. 2) High Quality Black 10 Watt (5V/2.1A) Wall Charger With A Pass Through Plug. 3) A Shielded 1 Meter Black USB 2.0 Dock Cable. Online Purchase Options Are Currently Unavailable. To Purchase Please E-Mail Us. 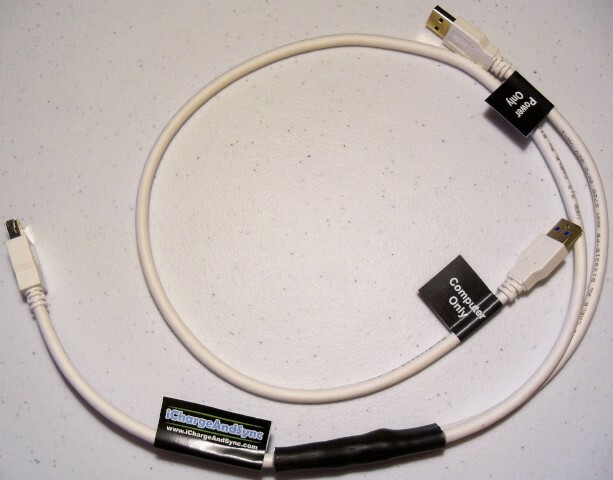 1) A White iChargeAndSync 4.0 USB 3.0 Device Cable.